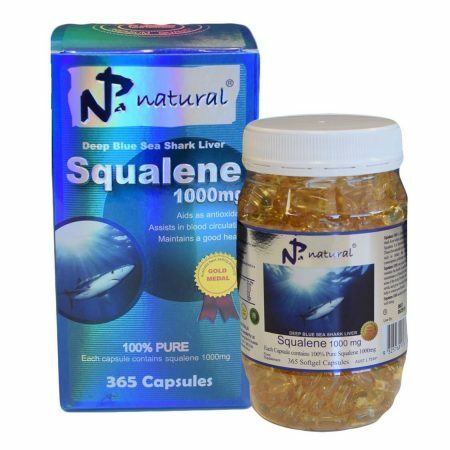 Squalene is a substance that occurs naturally in most animals and plants. It is otherwise known as omega 2, and has many similar benefits of omega 3. 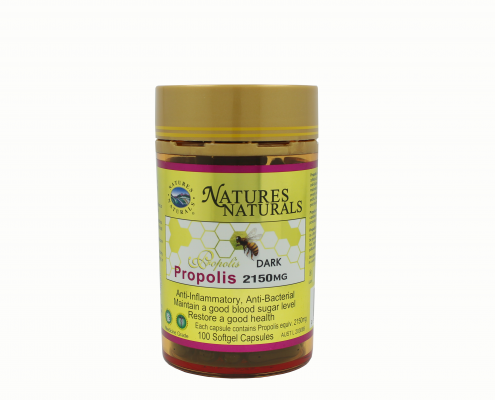 It is most commonly sourced from shark liver oil, though it can be obtained from many other sources. It has many health benefits including regulating immune response, antioxidant effects, absorption of vitamins and cholesterol, chemopreventive properties, reducing the damage from chemotherapy, antiradioactive properties, skin health, and cell health. No matter where you are in the world, or in Australia, like Brisbane, Sydney, or Melbourne, we can get squalene to you and you can enjoy its anti-ageing properties! The anti-oxidant effect of squalene can manifest in an anti-ageing effect. When an antioxidant meets a free-radical (a cell that has oxidised), it restores the cell’s electron balance, making it healthy again. Antioxidants are essential for our bodies to remain healthy and youthful. Squalene also helps our cells produce energy. If you would like to protect your body from the harmful effects of free radicals and carcinogens, and benefit from healthy, younger looking skin (not to mention overall body health), you might want to consider taking squalene. 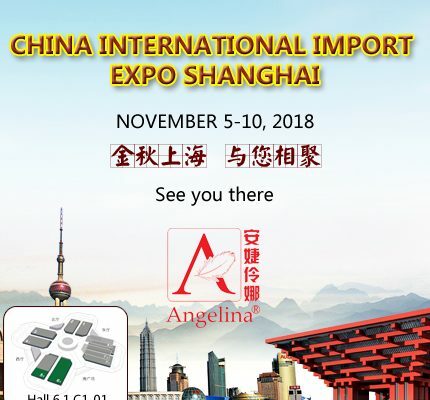 Scroll to the bottom of the page to see the related products we stock. Squalene is a polyunsaturated fatty acid that helps the body absorb cholesterol. It can also be transformed in our bodies into HDL cholesterol, which helps lower the levels of bad (LDL) cholesterol. It also can help generate oxygen in your body, which can have a purifying effect on the blood. It does this through a chemical reaction where oxygen is released from water molecules. Having more oxygen in your body also increases your metabolism, which is a win-win situation. It is also known to have a natural antibiotic effect, so take some when you feel at risk of getting a bacterial infection, or to decrease the severity of the flu. 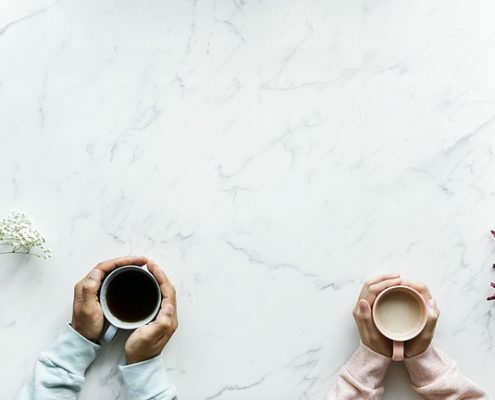 Squalene has many other health benefits including being an anti-coagulant (it helps to break down blood clots), an antihistamine (reduces allergic response), an anti-inflammatory, and a digestion stimulant. It helps grow new blood cells, cleans and maintains cell health, gives an energy boost, improves prostate health, eases stiff muscles and muscle pain, supports joint health, eases eczema and psoriasis, lessens the growth of scar tissue, helps lessen the effects of asthma, helps fight athlete’s foot, mycosis, candida, and candidiasis, improves blood circulation, helps manage diabetes, arthritis, and rheumatism, eases pain, helps manage varicose veins and decalcification, helps boost memory and mental faculties, helps fight ADHD, dyslexia and hyperactivity, and helps eliminate toxins from the body. As you can see, squalene has so many health benefits, it’s no wonder it’s becoming more and more popular as a health tonic. Did you know that squalene can help heal wounds internally and externally? This is due to its high antioxidant levels. Antioxidants are good for cell health in general. It has an anti ageing effect due to squalene making up to around 10% of our skin – so it’s a natural boost to a property our bodies already have. It also helps your skin regulate its moisture levels, and helps oxygen get to the skin. It helps metabolise fat, too. Another great property is that it stimulates the digestion, and helps maintain gut health. Squalene is known to support healthy eye function and maintain clarity of vision. It helps protect the retina from sunlight and promotes growth of healthy brain tissue (the brain is over 80% fatty acids). It is claimed that a healthy brain will in turn boost memory and concentration. 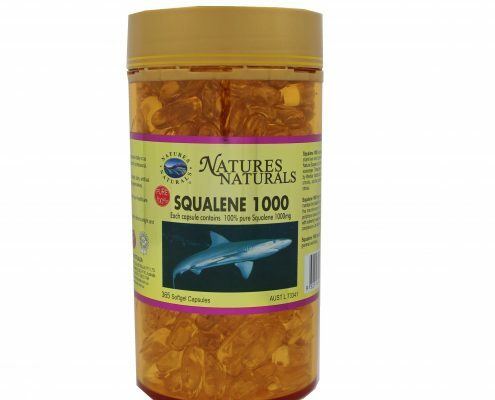 Squalene also helps maintain the health of your other vital bodily organs. It is recommended you take it regularly to reap the full health benefits. It may help ease gastritis. The Mediterranean people are well known for their low cancer rates. If you want to mimic the level of squalene found in their diet, you should take 300mg per day, although higher doses are safe too. You might be wondering who makes the best squalene that will benefit your body the most. Here at Natures Naturals, we manufacture only the highest of quality supplements. We make sure that our ingredients are pure and sourced from the best sources. Our process is rigorously checked for compliance with the most strict health standards. 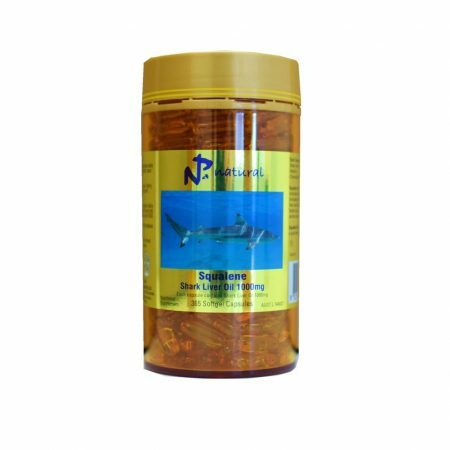 Our squalene is extracted from deep blue sea shark liver oil, which is one of nature’s richest sources. It is tested for purity and contaminants before it gets distilled into concentrated form. Who makes the best squalene? Natures Naturals, that’s who. Squalene is created in the liver and one of its functions is to assist in the absorption of cholesterol. It merges with body fat and is excreted through skin. It forms part of the skin’s defence against UV rays, dryness, and heat. 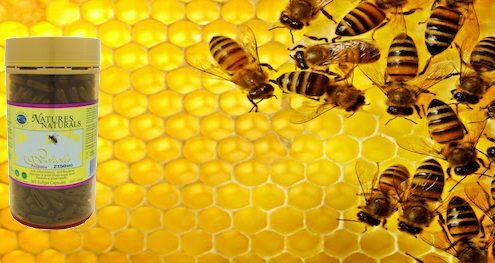 When consumed, a high proportion of squalene is circulated throughout the body, spreading its healthy effects. It also works well as an adjuvant. It is good for healing wounds (it can be spread directly onto the affected area) and is a great moisturiser – being a common ingredient in many skin products. Get your hands on some today and start reaping the rewards! 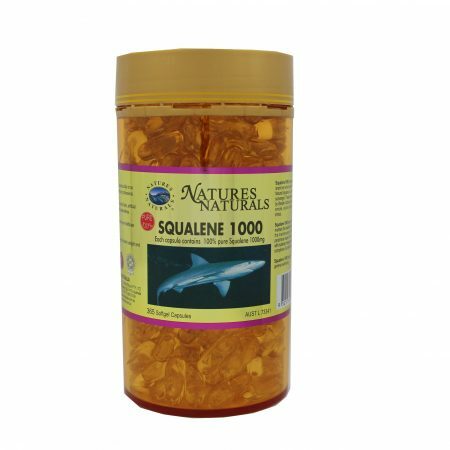 Squalene (also known as shark liver oil) is a naturally occurring compound that appears in a wide variety of plants and animals. Squalene in humans and animals is produced by the liver. It is used in cosmetics and some medications. Squalene may also reduce the risk of cancer and heart disease. Squalene may help boost your immune system and protect you from sickness. Squalene may help fight illnesses such as asthma, arthritis, and psoriasis. Squalene is known to speed the healing process of wounds. Studies have shown squalene to reduce the growth of blood vessels in tumours. This applies to breast, colon, and prostate cancer. Squalene may reduce the severity of the side effects of chemotherapy. Squalene consumption may also reduce the risk of heart attacks, irregular heart rhythms, and high blood pressure. People generally think of fats as a bad thing to have in their diet, but some fats, including squalene, are very healthy for you. Fats are a great source of energy, help your body absorb fat-soluble vitamins, help you keep healthy skin, and supply important fatty acids. Fats to avoid are trans fats, and saturated fats (although you do need a certain amount of saturated fats – just not too much). Beneficial fats include monounsaturated, polyunsaturated omega fatty acids, and squalene. How Does Squalene Benefit You? Squalene helps your body fight toxins. Squalene supplementation is a good idea if you are older than 25 because your body stops producing sufficient amounts of it after that point. Squalene may even help you lose weight, and is good for your digestive system and bones. Squalene helps to fight signs of ageing by keeping your body and skin in good condition. Not only will squalene keep your skin moist, but it will stop it from losing moisture and protect it from toxins. Squalene also helps keep your hair and fingernails healthy and strong. You may have noticed there is a substance with a similar name, squalane, and be wondering what the difference is. Both squalene and squalane are used in cosmetics. Squalane is hydrogenated squalene. A hydrogenated fat has a higher melting point and is harder in feel. Squalane is used externally whereas squalene can be ingested. Ingesting squalene is more beneficial because you benefit from it internally and externally. Squalene is helpful for dry skin while squalane helps with pimples or oily skin. Squalene is a very powerful life-preserving substance. It existed in large amounts in the first life on earth, before there was oxygen in the atmosphere. Squalene helped protect this early life from the harsh elements. Our bodies create a certain amount of squalene. It is found in the largest quantities in babies, and diminishes during our 30s. Squalene supplementation after this age will help maintain a youthful body and appearance. Squalene flows around the body in the blood via the lipoproteins. Most of the squalene in our bodies is found in the skin while a small portion is found in the organs like the small intestine or liver. Squalene was only discovered relatively recently in 1906. It was discovered by Dr Mitsumaru Tsujimoto, a Japanese oil and fat researcher. He was researching shark liver oil and it took him ten years to finally separate the substance he called squalene from the oil (he named it after the shark Squalidae). 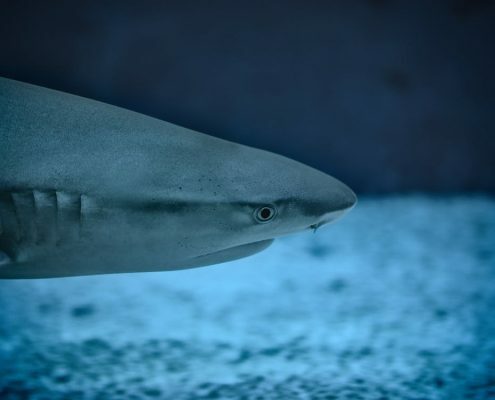 Shark and fish livers yield the highest levels of squalene known to man, particularly in deep-sea sharks. Sharks store most of their lipids in their liver, which also regulates their buoyancy, and is a source of energy. A high proportion of squalene is one of the reasons why deep sea sharks can survive under so much pressure with little sunlight. 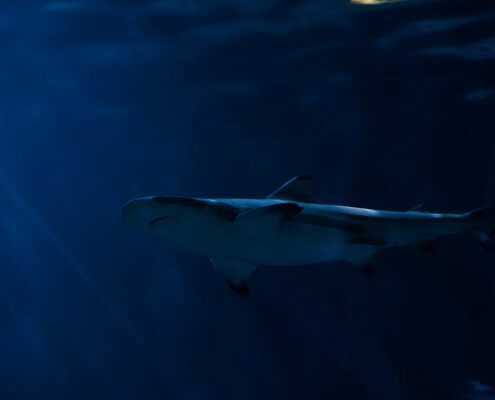 Apart from the liver, squalene also appears in high quantities in the shark’s other organs like the stomach, pancreas, heart, spleen, and kidneys. 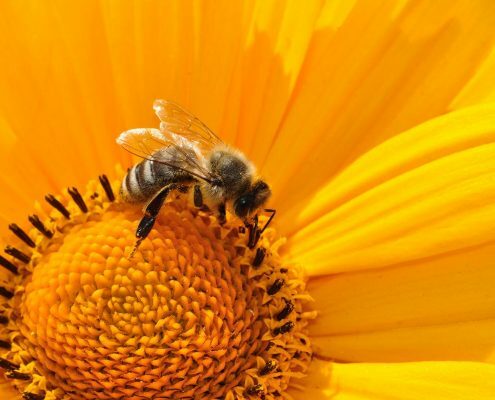 Squalene is also prominent in many plant sources, including olive oil, soybean oil, grapeseed oil, hazelnut oil, peanut oil, corn oil, sunflower oil, and amaranth oil. Amaranth contains more squalene than any other known plant source. Squalene is extracted from plant sources by either pressing or the use of chemicals. The oil is then refined, except for in the case of extra virgin oil. The process of refining removes undesirable substances from the oil and improves its taste and smell, however it can also remove some good elements like vitamins and antioxidants. As you can see, squalene provides a huge range of benefits. 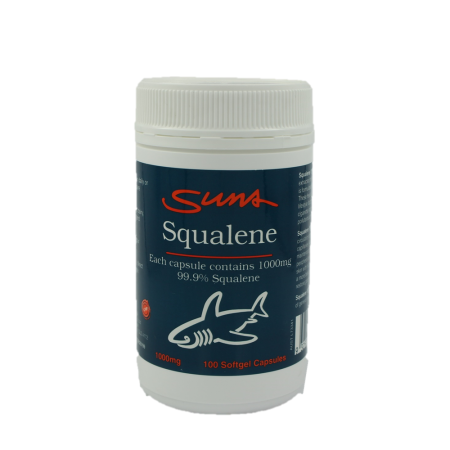 Scroll down for some squalene products that we stock. $24.00 AUD – $89.99 AUD Sale! $39.99 AUD – $59.99 AUD Sale! https://www.naturesnaturals.com.au/wp-content/uploads/2018/03/NN016G.png 3321 3322 pippa https://www.naturesnaturals.com.au/wp-content/uploads/2016/08/NN.jpg pippa2018-06-14 14:18:442018-06-14 14:18:44Time to Stock Up! 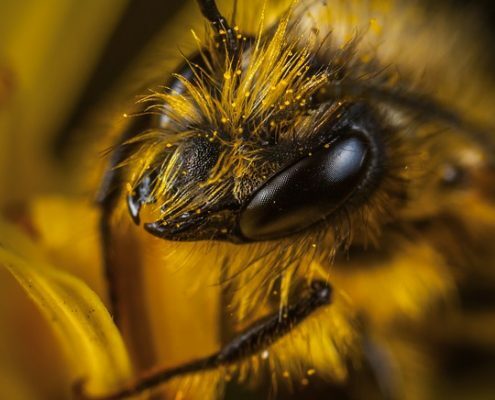 New Uses for Squalene...as Jet Fuel! https://www.naturesnaturals.com.au/wp-content/uploads/2017/11/NN036G-1.jpg 3683 3683 pippa https://www.naturesnaturals.com.au/wp-content/uploads/2016/08/NN.jpg pippa2018-06-04 18:13:052018-06-04 18:13:05New Uses for Squalene...as Jet Fuel! https://www.naturesnaturals.com.au/wp-content/uploads/2017/05/pexels-photo-200282.jpeg 750 1124 pippa https://www.naturesnaturals.com.au/wp-content/uploads/2016/08/NN.jpg pippa2018-05-21 14:55:432018-05-21 14:56:12Did You Know? https://www.naturesnaturals.com.au/wp-content/uploads/2017/05/pexels-photo-177608.jpeg 750 1124 pippa https://www.naturesnaturals.com.au/wp-content/uploads/2016/08/NN.jpg pippa2018-04-19 13:01:102018-04-19 13:01:10What Does Squalene Do?